GiantDuckFan, KyleK, shane0911 and 1 other person like this. Typo. I had it wrong and corrected it but it was wrong again when I clicked post. Today is National Margarita Day. Adolf Hitler's nephew served in the U.S. Navy in World War II. William Patrick Hitler (March 1911 – July 1987) was a nephew of Adolf Hitler. He was born to Adolf's brother, Alois Hitler, Jr. and his first wife, Bridget Dowling, in Liverpool, England. In January 1939, William left Germany and visited the United States with his mother on a lecture tour at the invitation of publisher William Randolph Hearst. He and his mother were stranded in the U.S. when World War II broke out. After making a special request to President Franklin D. Roosevelt, William was eventually cleared to join the U.S. Navy in 1944. At the time, he was living in Sunnyside, Queens in New York. According to a story circulating after his enlistment, when he went to the draft office and introduced himself, the recruiting officer supposedly replied, "Glad to see you, Hitler. My name's Hess." First displayed at the Paris Auto Salon in 1904, the fancy Rolls Royce shown here was then displayed at London's Olympia show where it would return and be sold 102 years later. 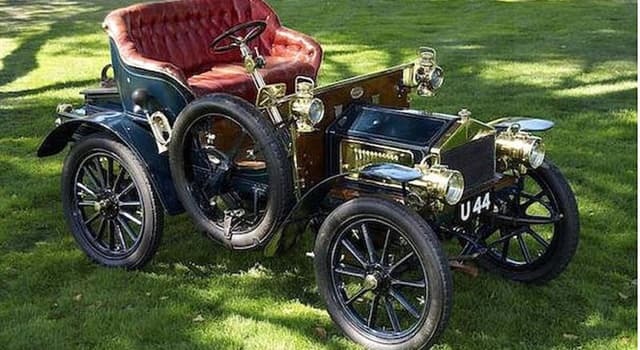 This classy antique is not only an expensive pre-1905 automobile, but it is also the most expensive Rolls Royce ever bought, as recognized by the Guinness Book of World Records. Officially called a "veteran" car, this is the fourth Rolls Royce ever built. It is the oldest Rolls Royce that money can buy. It is basically a very unique motor car. Some innovative technology was used on this vehicle. It has a two-cylinder engine that packs the power of 10 horses under the hood. The 10 hp was a development of Henry Royce's first car, the Royce 10, of which he produced three prototypes in 1903. Twenty 10 hp cars were intended to be made; 16 were made by 1906. "It is the oldest Rolls Royce that money can buy",.. does that mean there are others in museums? Nyotaimori— often translated as "female body arrangement"—is the practice of eating sushi off a woman's naked body. President John Tyler, born in 1790 — in office from 1841-1845 — still, (as of Feb/18), has two living grandsons, Not great-great-great grandsons, but grandsons. mctiger and Bengal B like this. President John Tyler, born in 1790 — in office from 1841-1845 — still, (as of 2/18), has two living grandsons, Not great-great-great grandsons, but grandsons.